The example of capitalism I was exposed to recently was from the book "Your Teacher Said What?" by Joe & Blake Kernen. Joe is on Squawk Box every week day morning on CNBC. In explaining capitalism to his daughter Blake, Joe used the example of the purchase of a fish tank net. Simply put, who is to tell the pet store owner how many he should stock or from what company? Who is doing the planning to get these items to the pet store? Who is deciding the production level for their manufacture? How are the resources being allocated to this mundane item? The fact is that if you took the 100 most intelligent people on the face of this earth and coupled them with the most powerful computer systems they could not do a better job than the capitalistic system. AND a real side benefit is achieved! The individual in the store making the purchase has a choice of what fish net they want. Even by color. This is called democracy. No matter how many people are populating Washington and such, they cannot do as good a job as the free enterprise system. How can this example be so simple and to the point and yet so obscure to so many people. Steel production appears to be declining slowly since summer. 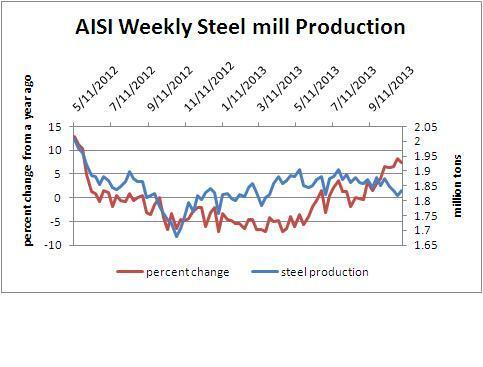 The decline is modest and is contrary to the strong market for other castings related to automotive production. The decline is in line with a slowing production for capital goods. 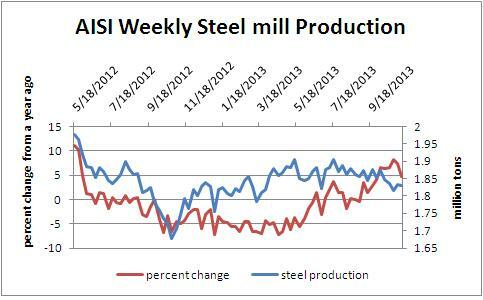 Steel production remains at lower levels showing a slowing of production. 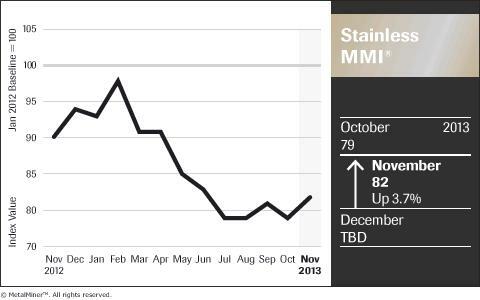 Stainless steel was up indicating ongoing demand. 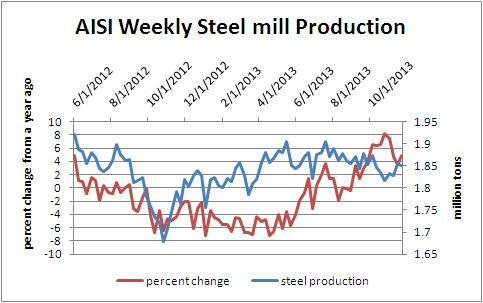 Steel production was up slightly from last week but remains at the low end of the recent range of production. It is not clear if it is declining or stable moving ahead.